Leigh Ann Henion has been editor-in-chief of Appalachian State University’s Cold Mountain Review (Facebook) since 2008. Her work as a freelance writer and photographer has appeared in Smithsonian, Orion, The Washington Post Magazine, The Christian Science Monitor, Oxford American, The Sun, Preservation, and a variety of other publications. Her writing has twice been cited in The Best American Travel Writing (Houghton Mifflin Harcourt). 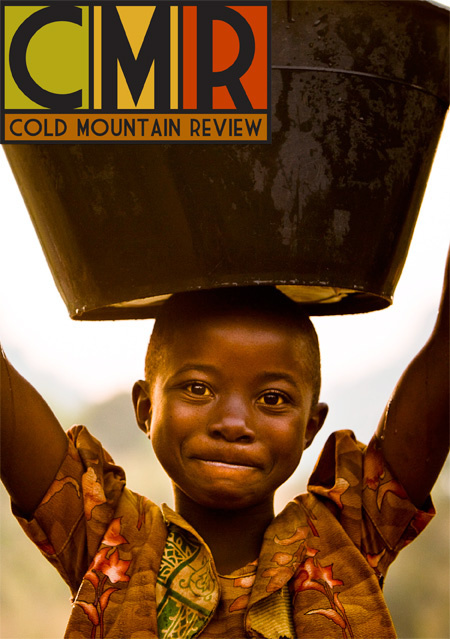 Leigh Ann Henion: Here’s the scoop: Cold Mountain Review is a forum for well-told stories. We publish narrative poetry and lyrical prose, and we are interested in the way contemporary literature is testing the boundaries of genre. Each issue of CMR features work intended to transport the reader to unexpected landscapes—emotional terrains that are sometimes joyful, occasionally disconcerting, always interesting. Since its founding almost 40 years ago, CMR has featured writers such as Robert Morgan, R.T. Smith, Natasha Trethewey, Virgil Suarez, and Fred Chappell. CMR contributors have among them an Academy Award in Literature, and a number of other accolades that attest to the quality of conversation that has long been taking place in the pages of CMR. Writers have different approaches to storytelling, and they write for varied reasons; but when they publish their work in CMR, they are telling their story directly to you, the reader. Lean in. Listen. Natasha Stagg: Does CMR it do anything that no one else is doing? LAH: I think it’s a bit unusual for a literary magazine to receive an award from the National Press Photographers Association. CMR was honored alongside National Geographic Magazine and TIME in the organization’s 2009 Best of Photojournalism contest. The winning photo essay, by Caroline Bennett, took readers into Mexico’s Santa Martha Prison where children live with their incarcerated mothers. Our covers are often humanistic portraits, and we feature a documentary photo essay in each issue. LAH: CMR publishes creative nonfiction, short stories, poetry, and documentary photography. NS: So how do we submit? LAH: Submission guidelines for CMR can be found on our website: www.coldmountain.appstate.edu. We have a very small staff, and we ask writers to stick to our standard submission period, which is August-May. There is no reading fee. We get thousands of submissions annually, and we often compose entire issues out of what we get over the transom. It’s more labor intensive than soliciting work, but it’s a joyful process that allows new, unexpected voices to be heard. LAH: The internet is an equal opportunity publishing tool. It is a beautiful thing, but it’s also overwhelming. I think readers will always look to publications—be they blogs, websites, or journals—to help them be discerning consumers. CMR has enjoyed nearly 40 years of continuous print publication, which is no small feat. I’m hopeful that its legacy, and the viability of literary journals, will only be strengthened by the possibilities inherent in electronic media. LAH: I’m a photographer as well as a writer, and when the photo community made the shift to digital it was a tough transition to accept. There’s a certain grace and magic in doing darkroom work. Even so, I would never want to go back to that process and its chemical fumes. But, just as some photographers have stayed loyal to their darkrooms, some readers will demand the feel of a paperback in their hands. For now, I’m one of them. I think the writer’s job is to create work that makes readers forget about the form of delivery. Devices like the iPad and Kindle are increasing readerships of some traditional publications while providing readily accessible forums for new ones. I don’t think this is worrisome. It’s actually a little thrilling. CMR is a print publication, but the magazine has been posting select prose and poetry online since 2007. LAH: The fittest journals and magazines—defined as those publishing work that has been thoroughly vetted and edited—will survive in cyberspace along with those that are published with very little editorial forethought. I believe that savvy readers know which websites and blogs to trust for guidance, and I think these digital gatekeepers will serve the same purpose literary journals have for a very long time—and that is to connect readers with the writers they most need to meet.